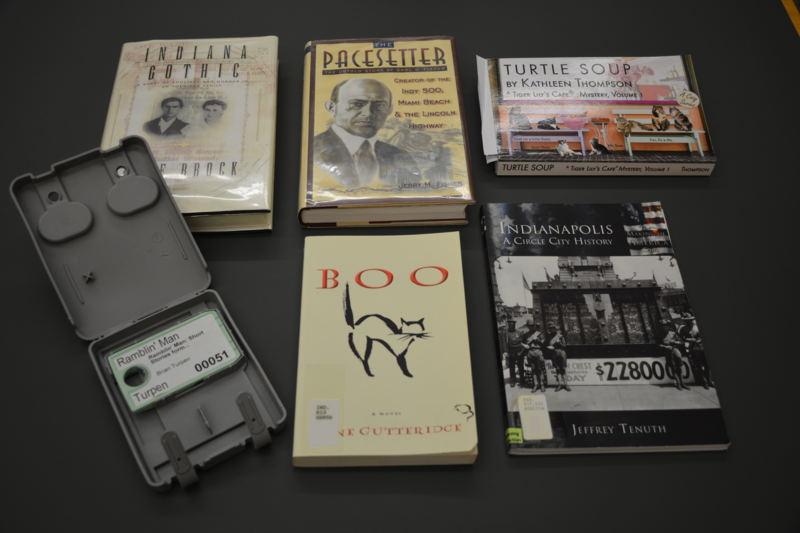 Earlier this year, I posted a blog entry about how books are selected for inclusion into the Indiana Voices audiobook collection. 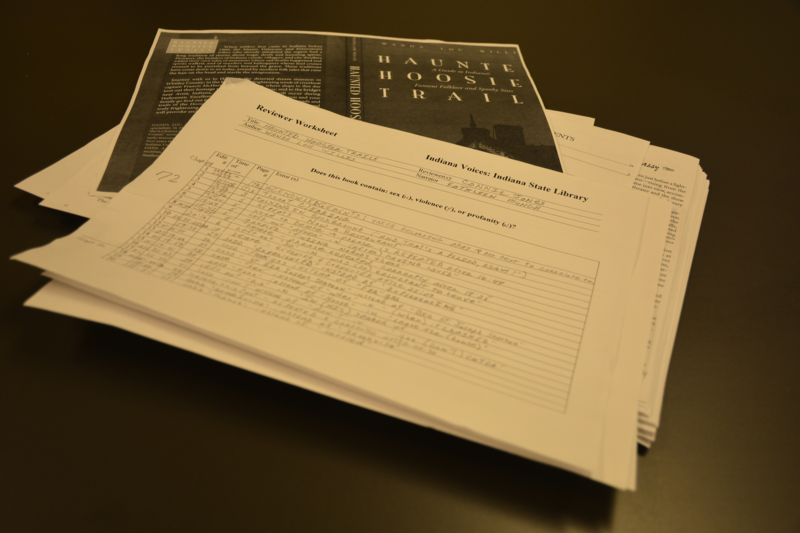 This time around I thought that I might share about the process that goes into taking the selected book from its printed form and turning it into either an audiobook on cartridge or a downloadable version for the Library of Congress National Library Service BARD website. There are multiple steps needed to complete this process, including the aforementioned title selection. After selecting a title, the next step is pairing the book with the right narrator. Many of our program’s narrators are good at reading just about anything, but there are some that just seem to have the right voice for a particular genre. I like to match them up with the types of books that they seem to best convey. Next, we move on the heart and soul of the process; the actual narration of the book. Narrators must read ahead to get a feel for the structure and composition of the book and how they need to approach it. Narrators also have to read ahead in order to look for unfamiliar words, names or geographical locations, in order to get the correct pronunciations down. The narration can take anywhere from six weeks to eleven months or longer to complete, depending on the length of the book. At present, the longest I have worked on getting one title recorded was about two years, but that did include a few breaks for that particular narrator to work on other recordings. Once a title is recorded, it moves on to the next step, which is proofreading for errors. 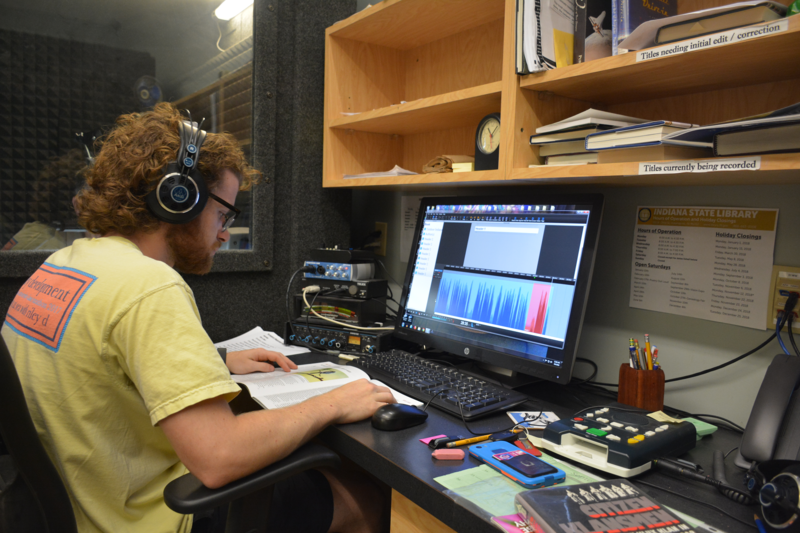 During the recording process, the narrator and the person monitoring the recording can only catch so many errors. That’s why this step is so critical. It ensures the accuracy of the recording by having another set of ears listen to the book as they read along with the printed text. The proofreader logs any mistakes that may have occurred. These errors could include omitted words, added words, mispronunciations or other such discrepancies that may have happened during the original recording. After a title is proofread, the log sheet is checked and the discovered errors are corrected. This usually involves having the original narrator come in and re-read some of the text from the book. The final step of the process is to add the electronic markers onto the completed recording so titles, annotations, chapter headings and such can be accessed during playback. The finished audiobook it is now ready to be either transferred to a cartridge or uploaded to the NLS BARD website. Learn more about Indiana Voices by visiting this link. This blog post was written by Linden Coffman, director of Indiana Voices. 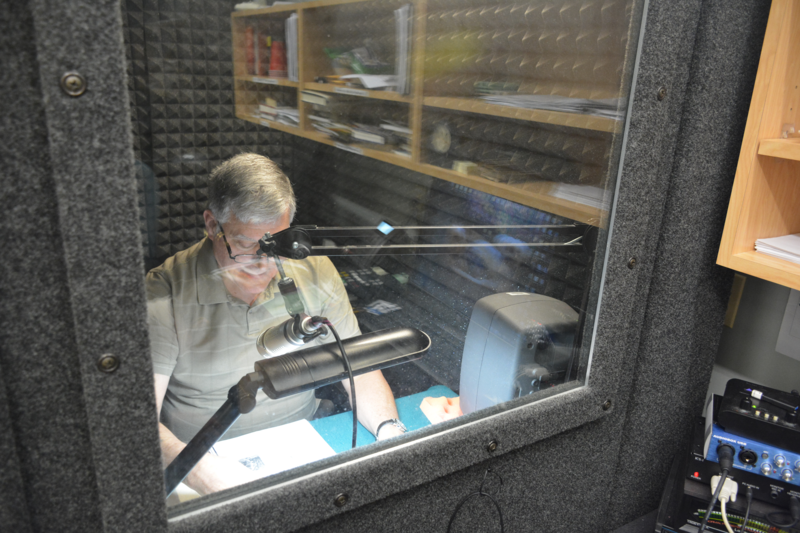 For more information about the Talking Book and Braille Library, call 1-800-622-4970 or send an email.